Here are the tech specs for the upcoming Curry 2. The Curry 1 had a successful run. 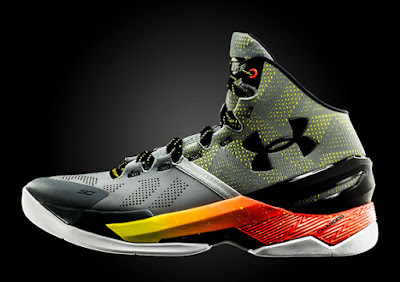 Even to this day, many are still looking for the Curry 1 just to check out what UA has to offer. And with the low-top version still active with its releases, it is good to see that Under Armour shying away from the challenge and trying to be better by doing changes and integrating their latest techs in a shoe that is already great. Other brands should take this mindset and not settling in with “what works or play safe” mentality. 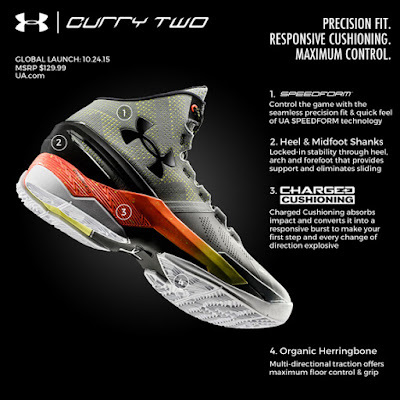 Going back to the shoe, check out the image below to be able to see the tech specs on the Under Armour Curry 2.